Bourgogne des Flandres occupies a very special place in the Belgian beer landscape. It is a typical example of the Flemish beer blending tradition with old and young beer being mixed judiciously to achieve a perfect balance. Den Bruinen Os is brewed on site in the loft and blended with lambic from Timmermans Brewery. This lambic has aged for over twelve months in wooden barrels. The result is a surprising red-brown beer with a low alcohol content and a complex flavour. 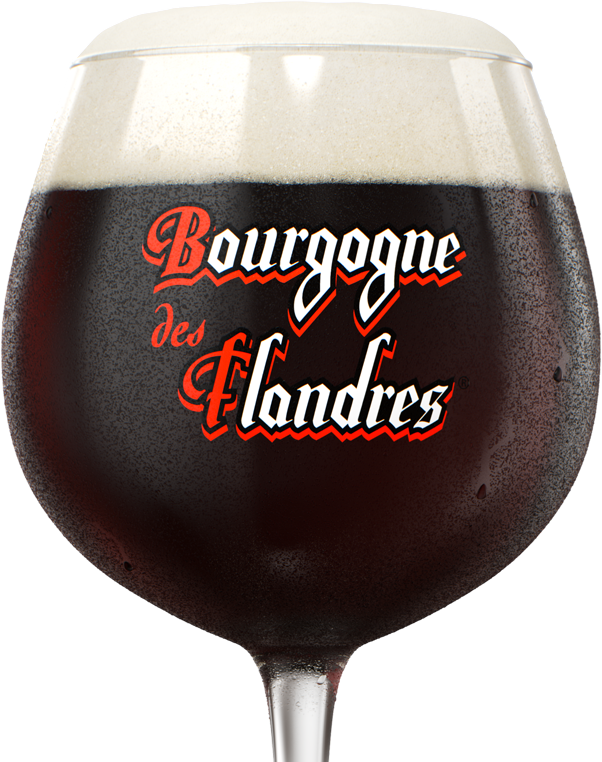 The recipe for Bourgogne des Flandres was passed on to other family breweries under the watchful eye of Michel Van Houtryve. In the 1980s, it ended up in the hands of the world’s oldest lambic brewery, Timmermans Brewery, not far from Brussels, which was taken over by John Martin Brewery in the 1990s. With Anthony Martin at the helm of the company, Bourgogne des Flandres became part of the Finest Beer Selection and its reputation was reaffirmed with the creation of a new brewery just a stone’s throw from the original Den Os Brewery. The brewing process of lambic differs from that of other beers in that at least 30% wheat is used, only aged hops are used and no yeast is added. Timmermans Brewery still brews lambic in an open mash tub! Two unique microorganisms live in the air within a 15-km radius of Brussels: Brettanomyces bruxellensis & Brettanomyces lambicus. These two microorganisms mix with the wort in the cooling vessel so that the unique process of spontaneous fermentation can take place without the addition of yeast. All lambic beers are aged in 100% wooden barrels. There are two types of barrels: vats (6,500 litres) and pipes (650 litres). The entire fermentation and maturation process takes two to three years.